Date: 14th February 2018 This entry was posted in Self help and tagged Self Injury on February 14, 2018 by kathy. The idea of injuring your own self may seem bizarre to many of us. It may not make much sense to us nor may depict a disturbing picture. The truth is that one in every 5 teens in the UK has harmed themselves at least once. This alarming statistic isn’t restricted to the UK, it is just as rampant in Canada, United States of America and many other developed countries. The idea of self-harm may seem so disturbing to people that they shift their attention elsewhere, turning over a blind eye which is part of the problem of the rising incidence in suicide attempts. We can only begin to tackle the ever-growing epidemic of self-injury once we begin to understand it in all its complexity. 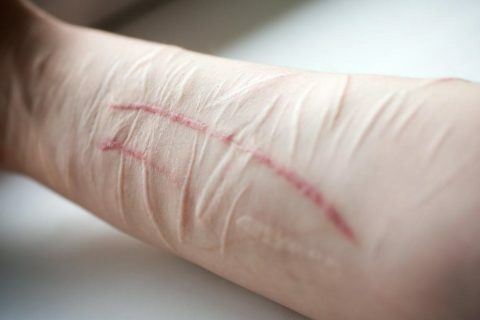 Out of the lack of awareness, too many of us deal with our self-injury inclined loved ones by hiding the sharp objects around the house and telling them to stop this once and for all. Do we expect them to see what they are doing to themselves? Mostly. Would you tell an alcoholic to stop drinking by thinking about the damage it is doing to his liver? Probably not. In fact, we as people tend to be more understanding towards alcoholics than we are towards victims of self-injury. Those who are victims of self-injury want to use physical pain to get rid of mental pain, for the time being at least. As surprising as it may seem, for most individuals, it is easier to deal with physical pain than it is to deal with emotional pain. They want to distract themselves from the grim reality they see around them by inducing injuries on themselves and it often does not matter how deep the cut is. One of the worst ways to address self-injury is with negativity. When you show your disgust or anger for a person with these inclinations, it will only make them more distant. And with a bad start like that, in no way you can begin to understand their case. You must never deny or dismiss the problem. Don’t think of it as just a phase. Also, hiding sharp objects around the house is redundant from anyone who is determined to injure themselves, they will find a way to do so. Furthermore, never judge the severity of the problem by the severity of the injury because the most depressed individual might only have minor scratches in the beginning, which can later transform into grim injuries, if the person is dealt with wrongly. Progressive Counselling Is a progressive therapy for mind, body and spirit. Sue Carberry specialises in Progressive Counselling and you can contact Sue here. 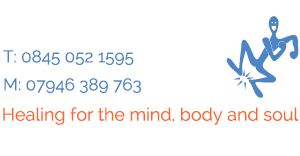 https://www.integratedbodywork.co.uk/contact/.